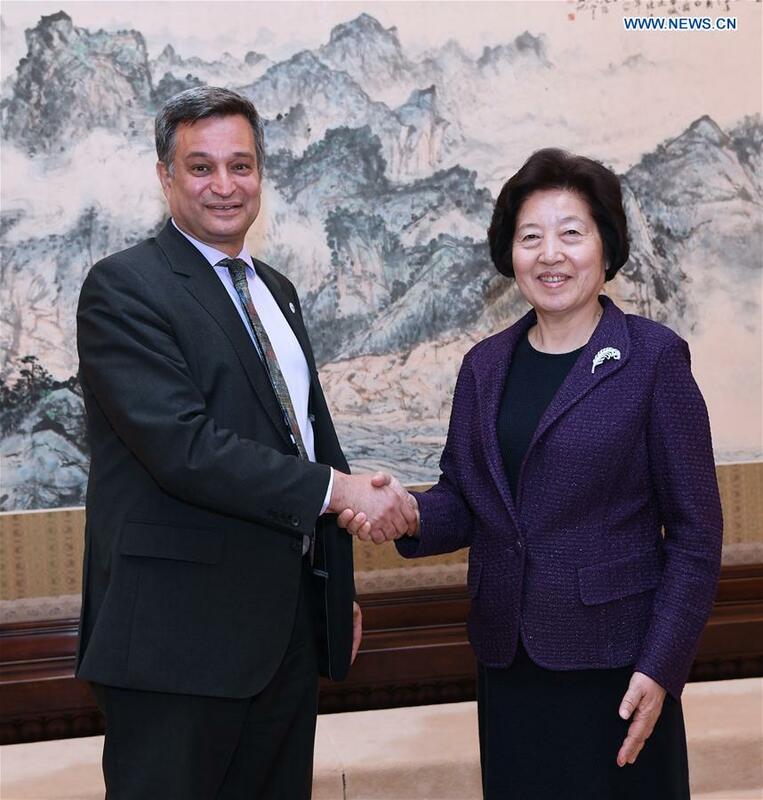 BEIJING, April 3 (Xinhua) — Chinese Vice Premier Sun Chunlan met with Alvaro Bermejo, director-general of the International Planned Parenthood Federation (IPPF), on Wednesday. Sun spoke highly of the good relationship between China and the IPPF, and expressed a willingness to deepen cooperation with the federation in such areas as family planning, reproductive health, and aging populations in developing countries. Bermejo said he appreciates China’s achievements in family planning, and the federation is willing to consolidate cooperation with China, participate in the Belt and Road Initiative, and support China’s bigger role in global population development. KUNMING, Feb. 26 (Xinhua) — Chinese Vice Premier Han Zheng has called for continued efforts on environmental protection and support for the real economy to ensure a good start for this year’s economic and social development. He recognized the outcomes the country has achieved in the protection and pollution treatment of the lake, and urged consistent efforts to win the lake’s pollution battle. 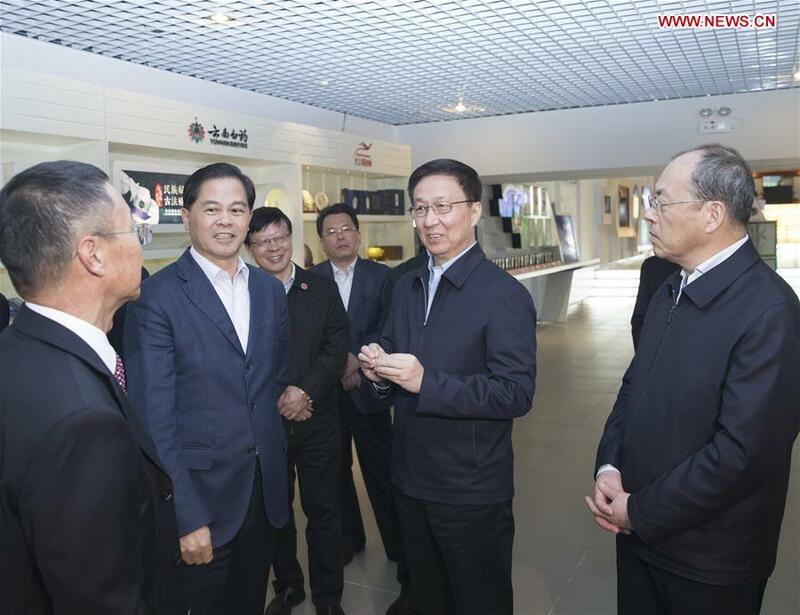 CHONGLI, Hebei Province, Feb. 18 (Xinhua) — Chinese vice premier Sun Chunlan spoke of the need for solid training, a sense of honor and above all for confidence from China’s winter sport athletes during her inspection in the Beijing 2022 snow events zone here on Monday. The athletes are currently undergoing training here in the mountains of Chongli, north of Beijing. Sun observed the construction of venues, listened to a report of the current state of Beijing 2022 competition preparations, inspected the training of national skiing teams and talked with athletes in this district of Zhangjiakou in Hebei province, situated 200 kilometers northwest of Beijing, which will stage most of the skiing events of the 2022 Winter Olympic Games. “To organize the Beijing 2022 Olympic Games successfully is one of the priorities for China. I hope everyone can promote a positive sporting spirit and the Olympic spirit, aim for our target and work hard,” said Sun. Sun called for tightly-knit, painstaking work in the competition preparations. “You need to find the weak links and mend them, stick to scientific training, and strengthen research on rules for various events,” said Sun, stressing the importance of accumulating and analyzing past experience in competitions, training management, on-site commanding, Games organization, sporting science and new technologies. Sun also called to continue the fight against doping. “Zero tolerance for doping in the national teams is a basic requirement. Our goal is to safeguard the cleanness of Beijing 2022 and ensure that ice and snow sports can be as pure as ice and snow,” said Sun. Sun also called on relevant departments to take full advantage of the opportunities provided by Beijing 2022 to promote ice and snow sports among the public, to improve sport fitness facilities, to push forward the coordinated development of mass sports, competitive sports and the wider sports industry. BEIJING, Feb. 13 (Xinhua) — Chinese Vice Premier Han Zheng on Wednesday stressed solid efforts to further protect biological diversity. 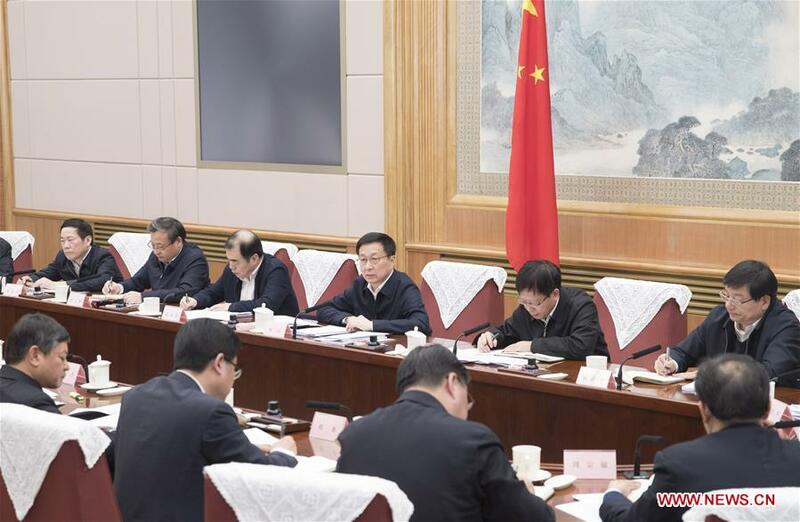 Han, also a member of the Standing Committee of the Political Bureau of the Communist Party of China Central Committee, made the remarks when presiding over a meeting of China National Committee for Biodiversity Conservation. Despite the substantial progress that has been made, more needs to be done to stop the current decline in biodiversity, he said. 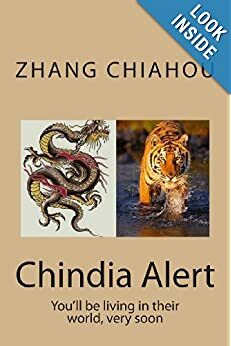 In order to offer the highest level of protection for biodiversity, Han stressed establishing a management system for protected nature areas by establishing a network of national parks, nature reserves and parks. He urged stepping up protection of wild fauna and flora with strengthened oversight and cracking down on related illegalities, adding that biodiversity should be supported with the optimal institutional and legal framework. Han also called for making preparations to host the 15th meeting of the Conference of the Parties to the Convention on Biological Diversity in China next year. WASHINGTON, Jan. 28 (Xinhua) — Chinese Vice Premier Liu He arrived in Washington D.C. on Monday afternoon for the upcoming high-level economic and trade consultations with the U.S. side. The delegation members include Governor of the People’s Bank of China Yi Gang, Vice Chairman of the National Development and Reform Commission Ning Jizhe, Deputy Director of the Office of the Central Commission for Financial and Economic Affairs and Vice Finance Minister Liao Min, Vice Foreign Minister Zheng Zeguang, Vice Minister of Industry and Information Technology Luo Wen, Vice Minister of Agriculture and Rural Affairs Han Jun, as well as Vice Minister of Commerce and Deputy China International Trade Representative Wang Shouwen. 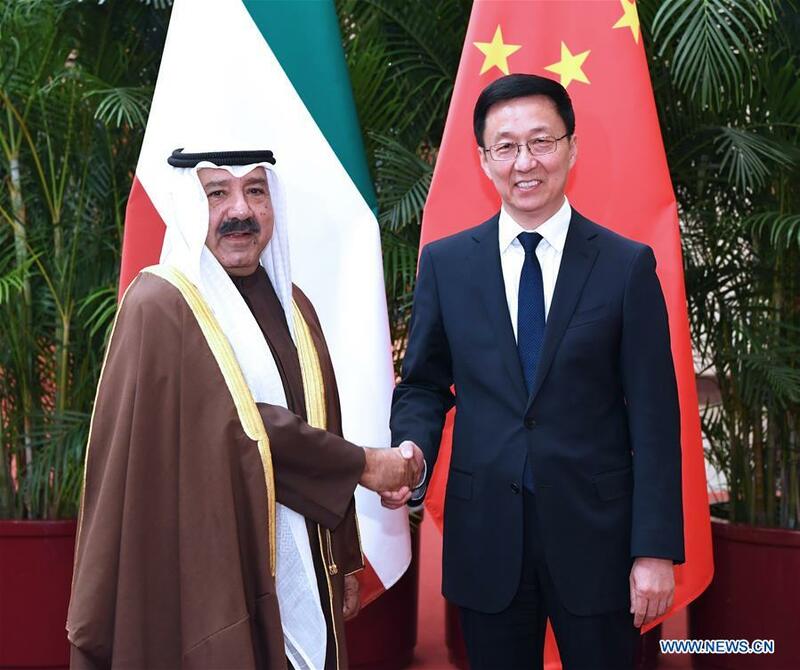 BEIJING, Dec. 17 (Xinhua) — Chinese Vice Premier Han Zheng Monday met with Sheikh Nasser Sabah Al-Ahmad Al-Sabah, Kuwaiti first deputy prime minister and defense minister. 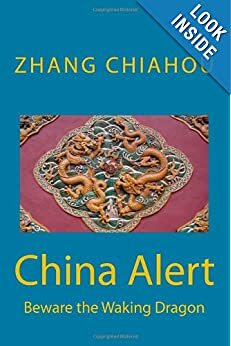 Han, also a member of the Standing Committee of the Political Bureau of the Communist Party of China Central Committee, said Chinese President Xi Jinping held talks with Kuwaiti Emir Sheikh Sabah Al-Ahmad Al-Jaber Al-Sabah during his state visit to China in July this year, reaching a series of important consensus. The establishment of strategic partnership between China and Kuwait during the visit injected great vitality to bilateral ties, Han said. Han also encouraged both countries to intensify people-to-people exchanges and enhance coordination on regional and international issues. Hailing the traditional friendship between Kuwait and China, Nasser said the two countries had always trusted and supported each other. CHENGDU, Dec. 4 (Xinhua) — The Chinese government encourages cross-cultural exchanges, and supports both Chinese sides and their foreign partners in making Confucius Institute a success, Vice Premier Sun Chunlan said on Tuesday.